Time scheduling and coordination on construction projects are not just a matter of reputation but can be crucial to systems like an earthling, concrete laying and service. When schedules are not managed properly, budgets for manpower and overall project budgets can be greatly affected. Mismanaged projects not only cut into the company’s profit and reputation but also negatively affecting workers and schedules. A construction company usually will have multiple projects running concurrently. Managing with inventories can be challenging and time-consuming in this field. Control inventory is important which require to ensure the right quantity and quality of material to deliver in a timely manner and available when needed. Lack of materials will cause delay or slow down the whole process of constructing development to meet the completion timeline. There are factors that will incur a loss of cost when required to provide extra storage space and high-level inventory will suffer wastage. Inventory supply is crucial in these hard-hitting economic times. Therefore, good planning of inventory control must be monitored and controlled well at the desired quantity level by using appropriate techniques. First things first. Identify a dedicated and responsible person who is able to take up this accountability task which is very important. This will ensure someone has a clear overview of all the inventories and able to provide quick decision and answers about the stock in hand when a request for. Responsible personnel will also require to perform adjustments, manage returns, validate received and implement inventory reporting strategies. Forecasting is a strategic managerial practice that construction organization should implement to ensure a balanced workplace. 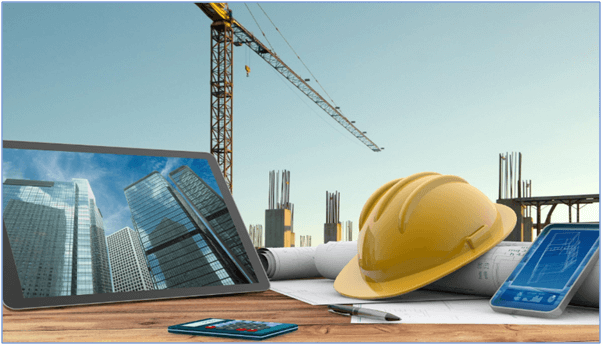 This require to involve Construction Manager on progress planning with specify types of material and Quantity Surveyor providing quantity that desired to use on a particular project. Forecast demand plays a crucial role that have to include in consideration are lead time, ready stock availability, seasonality, and overall economy, history quantity record for material that had partially ordered for a particular project. Set stock levels refer to decide the maximum and minimum quantity on individual materials that must be in stock at all times that are commonly use. To place the order when inventory level fall below the predetermined levels. The stock level must agree and discussed with management to have an optimized re-stock level, safety stock levels. Maximum stock level is not to exceed without specific authority from management. In other word, the maximum stock level is the quantity of material above which the stock of any item should not normally be allowed to go. The function of maximum level is essential to avoid unnecessary blocking up of capital in inventory, losses on account of deterioration and obsolescence of materials, extra overheads and the temptation to theft, etc. Minimum stock level is not to fall beyond the stock level. This level must be maintained at every time so that work progress will not be held up due to the storage of any material. It is that level of inventories of which a fresh order must be placed to replenish the stock. Just-In-Time (JIT) delivery is an inventory management approach designed to eliminate waste by receiving materials only as required. While JIT delivery is most often correlated with combating the issue of inventory waste, it is also perfectly applicable to the elimination of downtime and waste of lean. In construction, JIT requires alignment and balance between project materials that are considered long lead and those that are more readily available. Personnel are required for ensuring that all materials are present and readily available when needed. This factor leads materials into the process, creating a system where materials are pulled, rather than pushed through the process. JIT method also requires suppliers and contractors to collaborate at a higher level than regular construction methods and it requires that all project suppliers are up to the standard. This helps to prevent project delays due to unusable materials and helps to ensure that contractors deliver a higher quality product with reduced defects and maintenance needs over the life of the product. JIT delivery method can assist with this overhaul and is a powerful tool for improving construction productivity. The construction firm that fully understands a project needs and knows it can meet expectations on time and within budget is immediately far ahead of the industry curve. An important concept of inventory. It simply means that oldest stock (that was first entered in the system) gets to use up first (first-out), instead of newest stock. This is important for material that will oxidation easily. This will also help in controlling the material quality and inventory cost. In the construction industry, keeping track of materials are never an easy task. Therefore, implementing daily cycle counting is a must to keep tracking inventory that withdrawn in and out from store to avoid disruption to the operation, increase inventory accuracy and even cost savings. Daily counting will benefit time-saving and prevent major disruption compare to annually process. This process will no longer have to dedicate an entire business day, lose revenue and incur staffs spending over time. Spending shorter amounts of time each day to evaluate inventory is not only less stressful and by having up to date quantity. Daily counting will benefit money saving in inventory numbers to prevent loss of material that is able to re-used and unnecessary re-stock cost spending will be minimized. Daily counting will benefit efficiency improves whereby shorter lead time and reduce manpower to complete the whole process which maximizes productivity, promotes the organization, increase accuracy and efficiency. Daily counting will also benefit accuracy records by having decreases opportunities of errors. It allows to catch mistakes quickly and adjust accordingly when there is error begin spotted. In today world, technology is a must software that needs to adopt in our daily work to keep close monitoring of material inventories. ERP system integrates areas such as planning, purchasing, inventory, sales, marketing, finance, human resources. It facilitates the needed collaboration between owner, project manager, the main contractor, subcontractor and project team members to follow with end-to-end control of the process and seamless workflows until completion of a project. An ERP system helps in storing all information about individual task, assignments and this information becomes extremely easier for a company to create the working schedule that can be further presented by the project manager to the owner for approval. This will make job costing, reporting and physical access relatively easier and simple. All data and documents storing at one centralized and secure place. Project data are easily accessible and produces an audit trail of all project changes. ERP can automatically create a job budget, billing schedule and automate the purchasing process. Based on historical data, it provides an accurate cost estimate. Just-in-time deliveries allow for less waste and fewer re-supply delays. It streamlines operations, promotes efficiency and quality allows greater agility. In the construction industry, there are various types of materials to be used in a construction site. Therefore, mentioned are crucial techniques that require to adopt and practice to control the inventory, a system to function, keep track inventory from a physical, accounting perspective and to keep wastage to the lowest the possible. To provide better handling of the materials and overall performance for the construction project in term of time, cost budget and quality. ABIS Making Business Smarter. (2019). “Construction Software Guide”. Retrieved from http://www.abiscorp.com/index.php/construction-software-guide/, accessed 26.03.2019. Adam Tarr (2018). “Just-In-Time (JIT) Delivery and Construction Industry”. Retrieved from https://blog.cpsgrp.com/nehp/just-in-time-jit-delivery, accessed 26.03.2019. Chia Pei Ying, DPSM (2018). “Five Techniques for Managing Inventory in the Precision Industry”. Retrieved from SIPMM https://sipmm.edu.sg/five-techniques-managing-inventory-precision-industry/, accessed 26.03.2019. Harshal Katre. (2019). “12 Inventory Management Techniques To Cut Losses”. Retrieved from https://www.profitbooks.net/inventory-management/, accessed 26.03.2019. About the Author: Chua Seok Khim has substantive years of experiences in the field of procurement and supply management, and specifically in civil engineering. She is a member of the Singapore Institute of Purchasing and Materials Management (SIPMM). Khim completed the Diploma in Procurement and Supply Management (DPSM) course on March 2019 at SIPMM Institute.